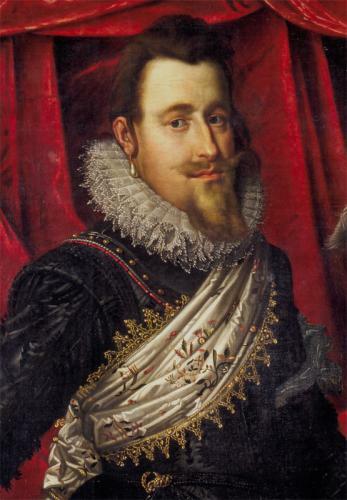 Christian IV (1577 – 1648), King of Denmark, visited Saaremaa from August 15 to September 21 in 1597. 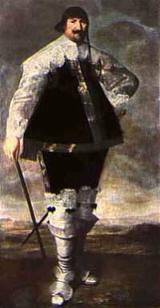 He came with three ships and brought about twenty people with him, including his physician in ordinary and the pastor of his court. 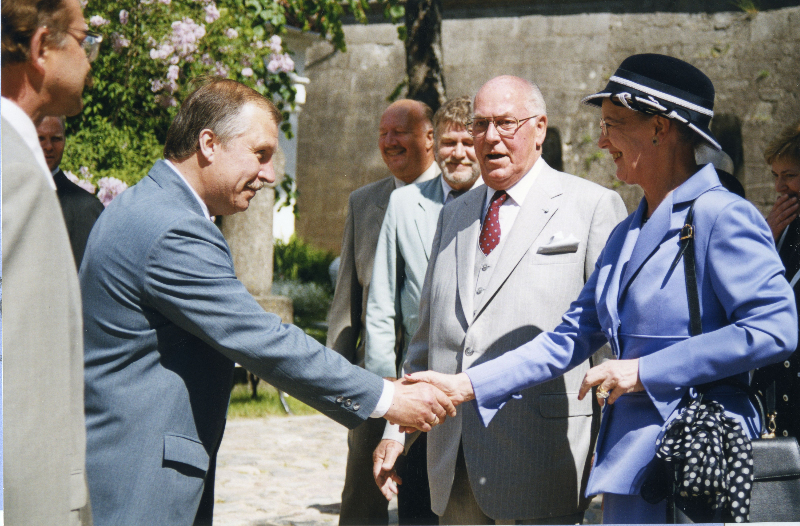 The king also met with Kuressaare town council and visited the state manors on the island. 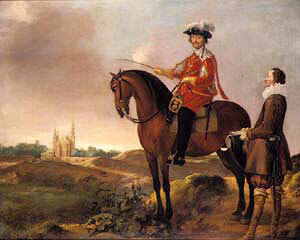 It is very likely that he stayed at Kuressaare Castle, which was the residence of the Vice Regent of Denmark. 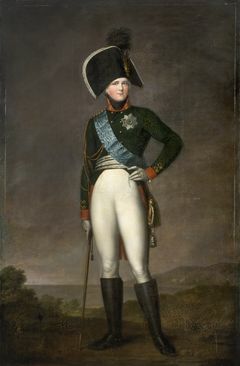 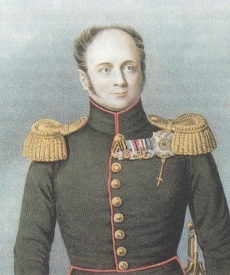 Aleksander I (1777 – 1825), Tsar of Russia, visited Saaremaa with his entourage on May 13-14, 1801. 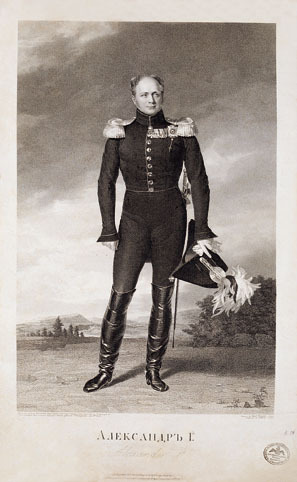 He had lunch in Tumala Manor and spent the evening at a ball held in the house of von Güldenstubbes (today Lossi Street 7). 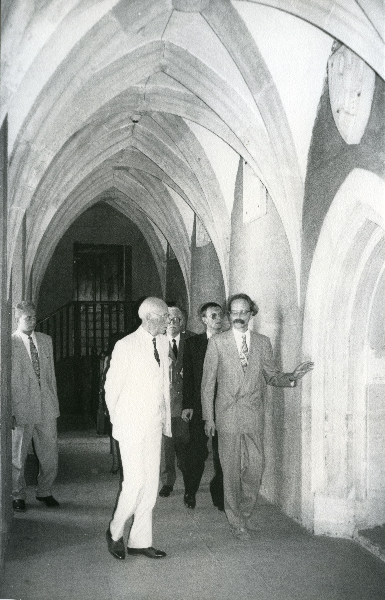 In between, the tsar also had a chance to explore Kuressaare Castle. 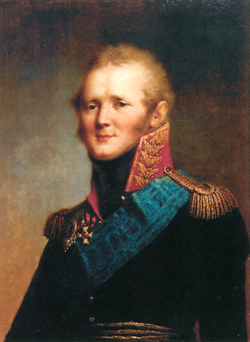 The tsar left Kuressaare on the morning of May 14. 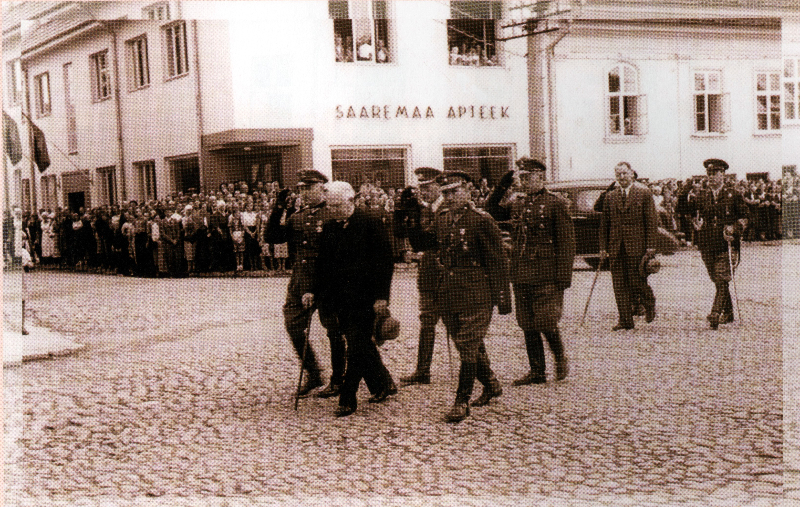 Konstantin Päts (1874 – 1956), President of the Republic of Estonia, was on an official visit in Saaremaa on August 20–21, 1939. 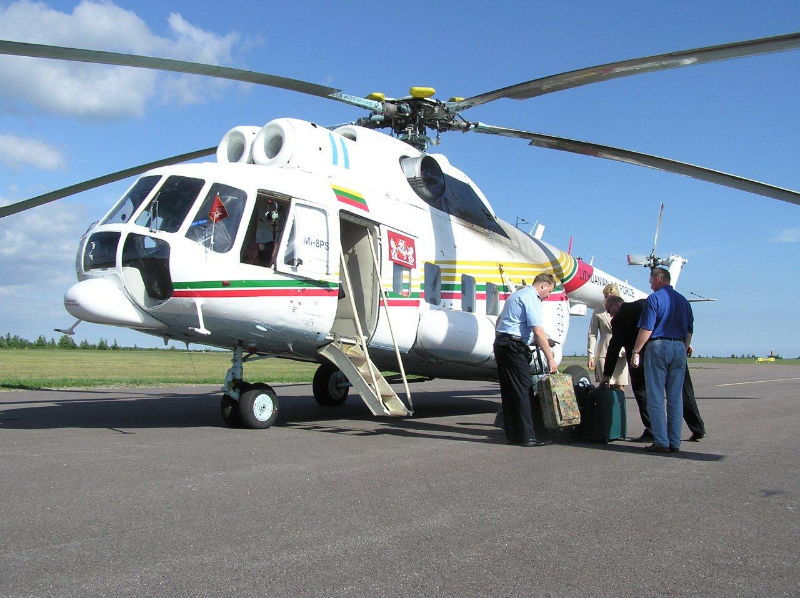 After a grand reception at Kuivastu Harbour the president headed for Kuressaare, making stops at Tumala Primary School and at Laimjala Community House. 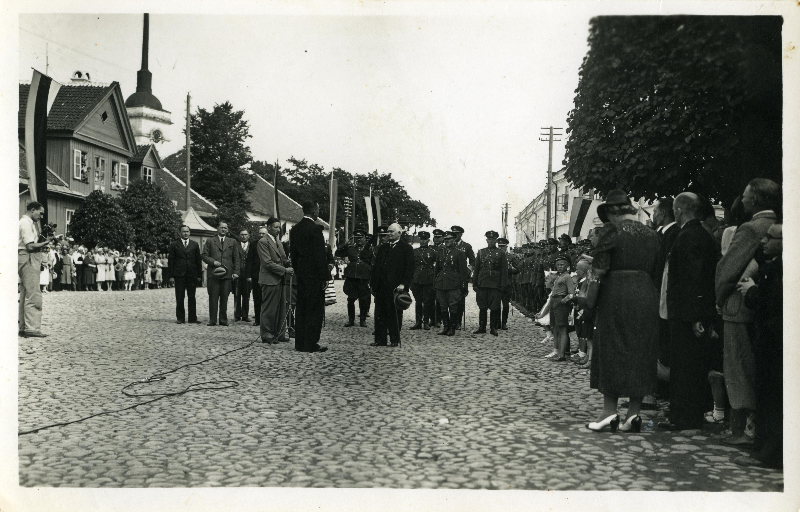 In Kuressaare he met with the local people at the marketplace. 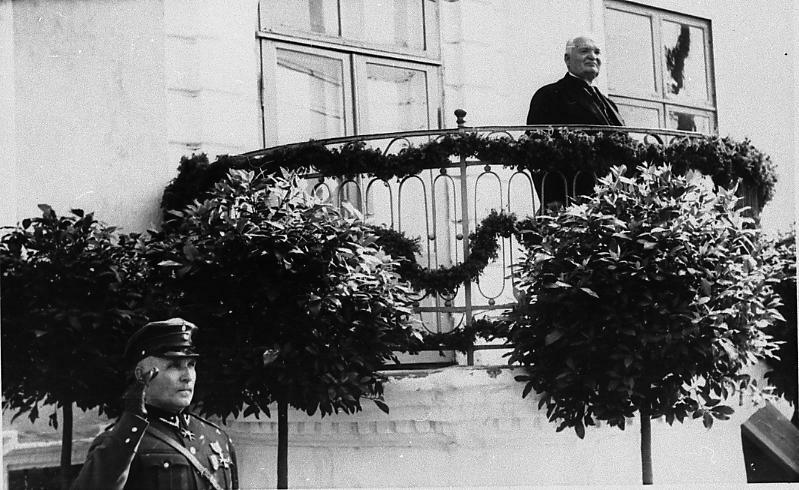 From there the president went to Mõntu Harbour to meet with the people of Sõrve. 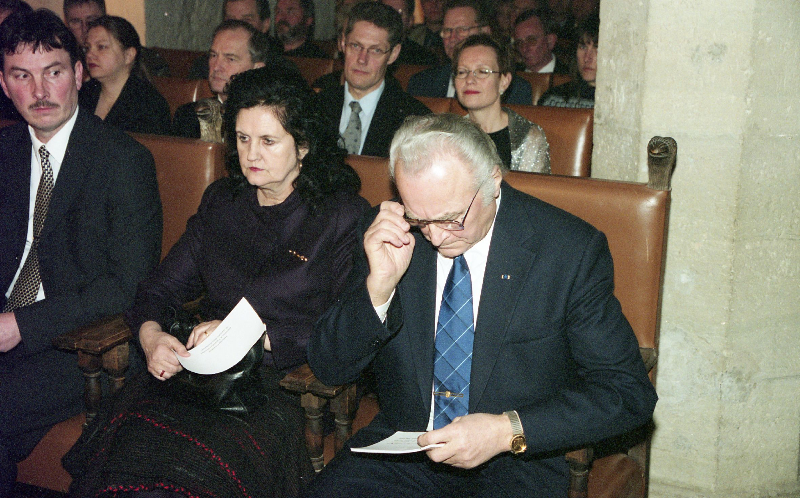 In the evening Päts participated at a dinner party held by the City Government in Kuressaare Castle and looked at the fireworks. 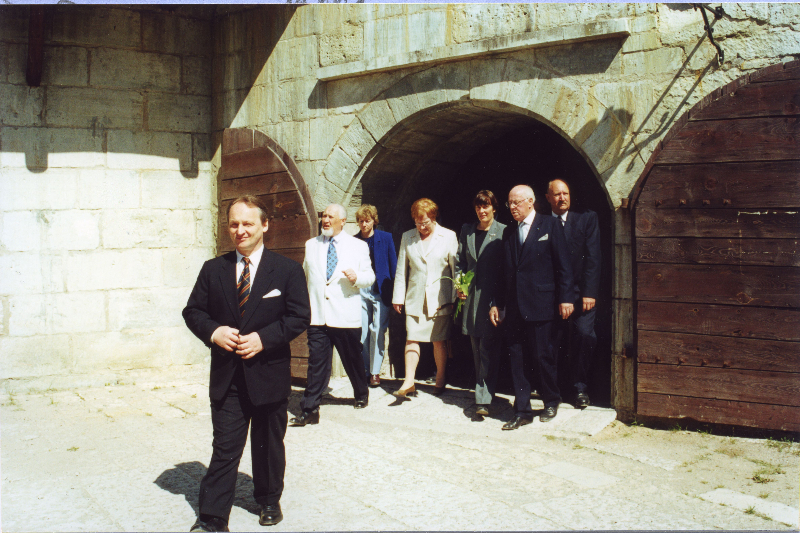 On August 21 he visited Kuigu Limestone Quarry, Kaarma Stronghold, Eikla settlement, Kaali School, Karja Domestic Science School, Räägi village, Ratla village, Tagavere village and Viira village in Muhu. 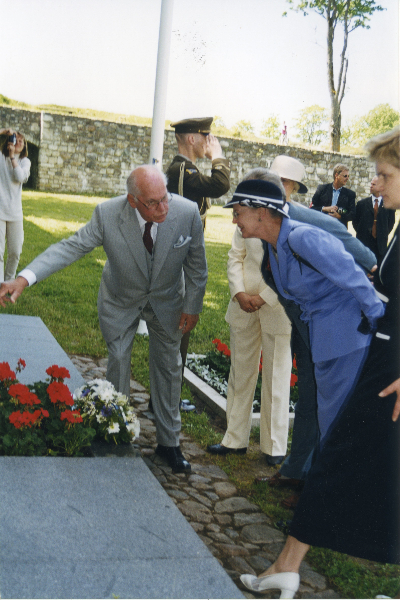 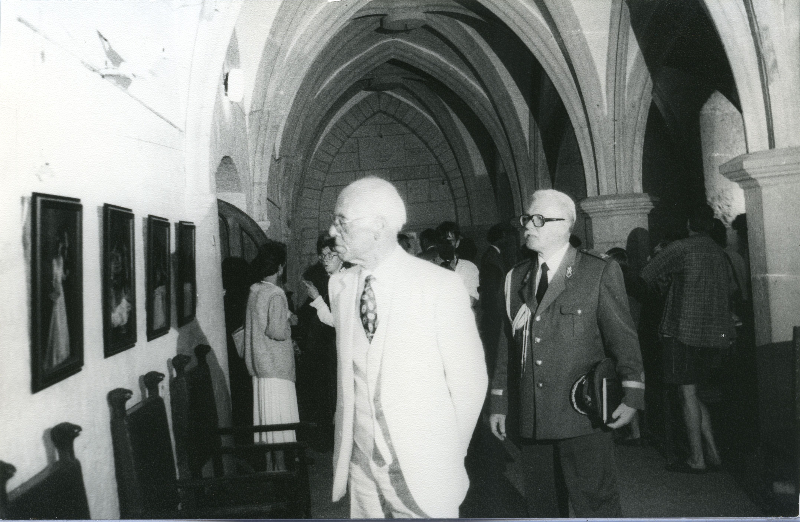 Lennart Meri (1929 – 2006), President of the Republic of Estonia, was on an official visit in Saaremaa on August 3–5, 1995. 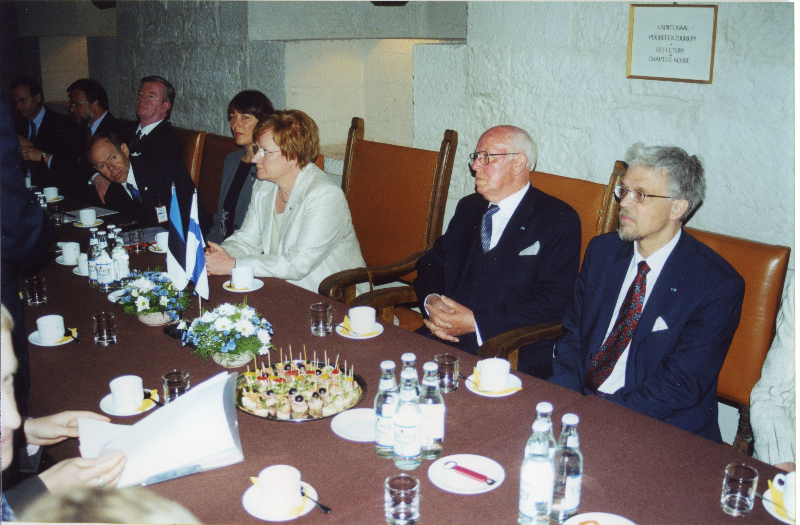 On August 3 he visited Tammisaare Farm in Muhu, met with the people of Muhu in Liiva, went to Triigi Harbour, Kaali and to Kärla Cemetery. 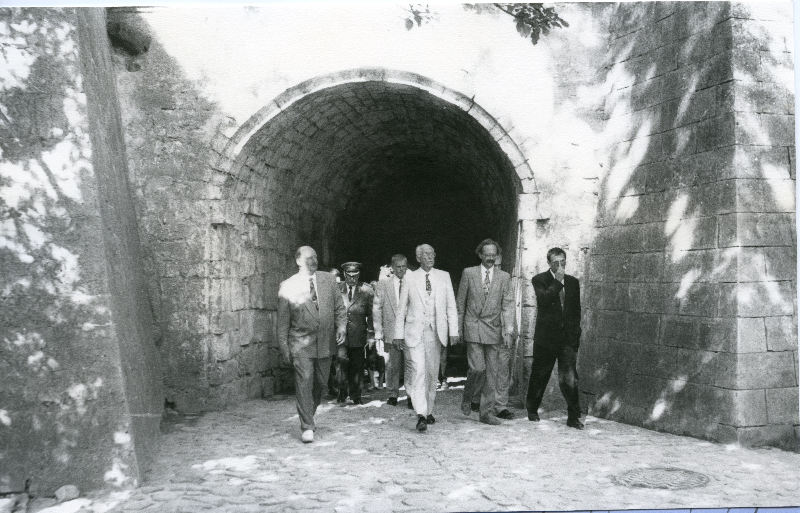 On the second day of the visit the president visited the NasFil Fish Factory in Nasva and afterwards went to the island of Vilsandi through Taritu. 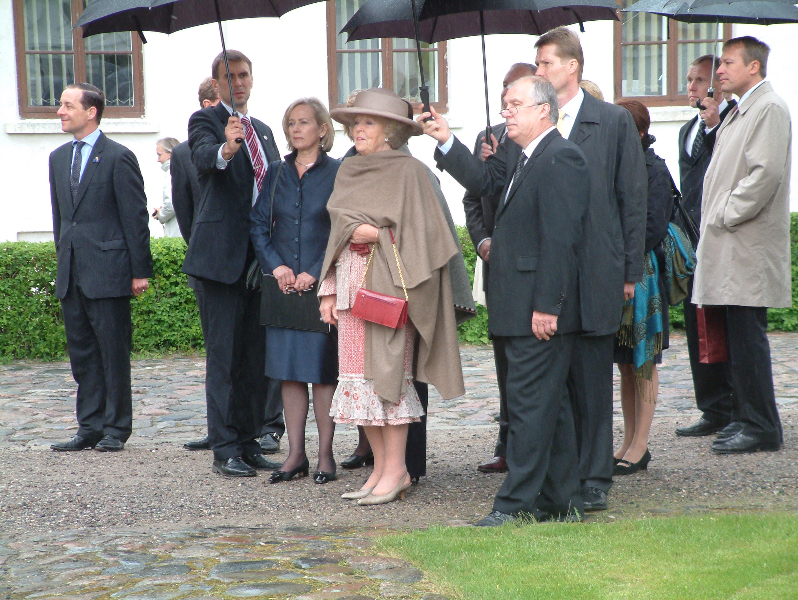 On August 5 the president saw the town and the people of Kuressaare and visited Kuressaare Castle as well. 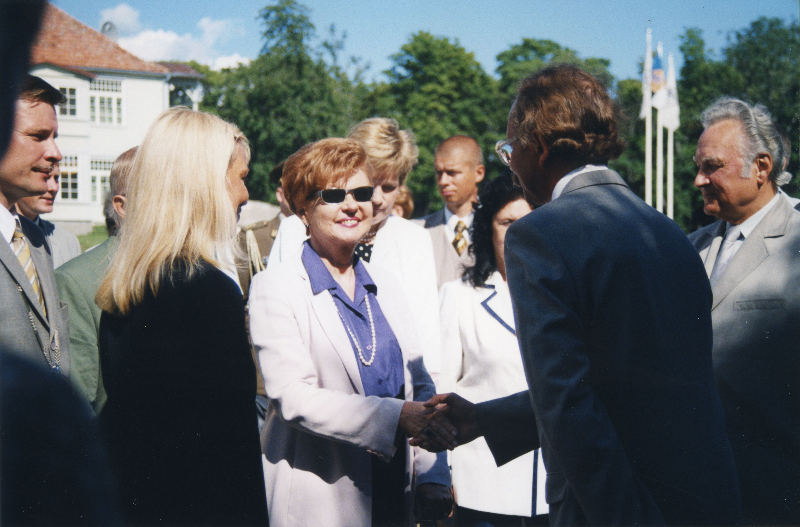 Tarja Halonen, President of the Republic of Finland, visited Saaremaa on 17 May 2000. 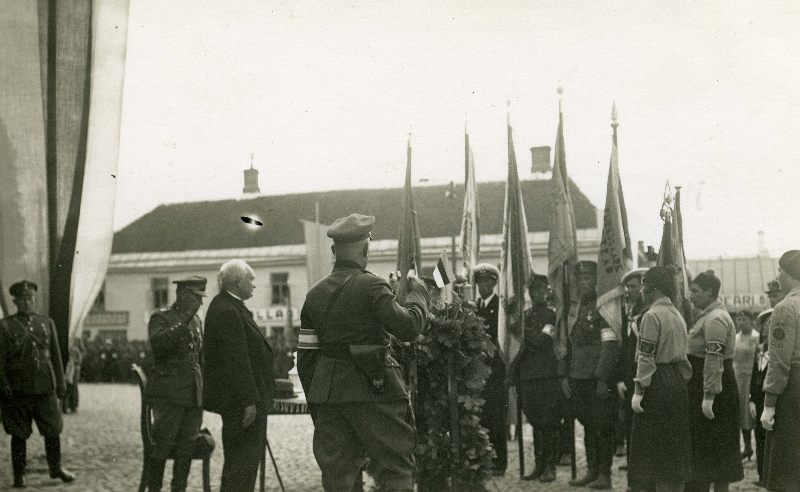 The president visited Kuressaare Castle, the Town Hall, the theatre and Kaali. 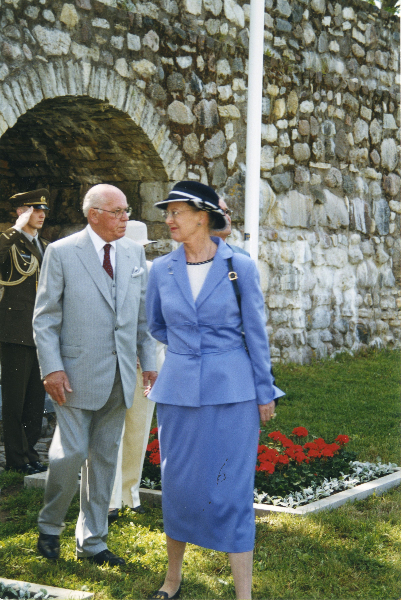 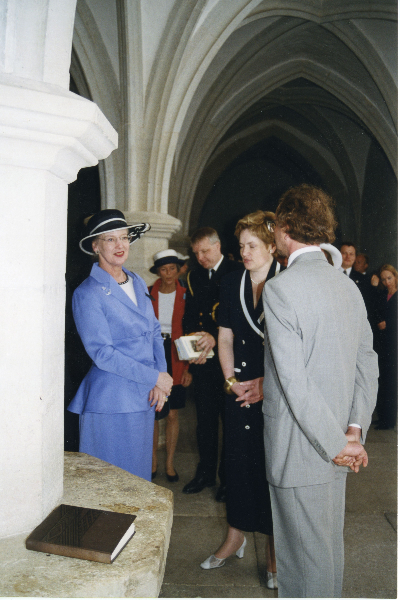 Margrethe II, Queen of Denmark, was on an unofficial visit in Saaremaa on June 15–17, 2001. 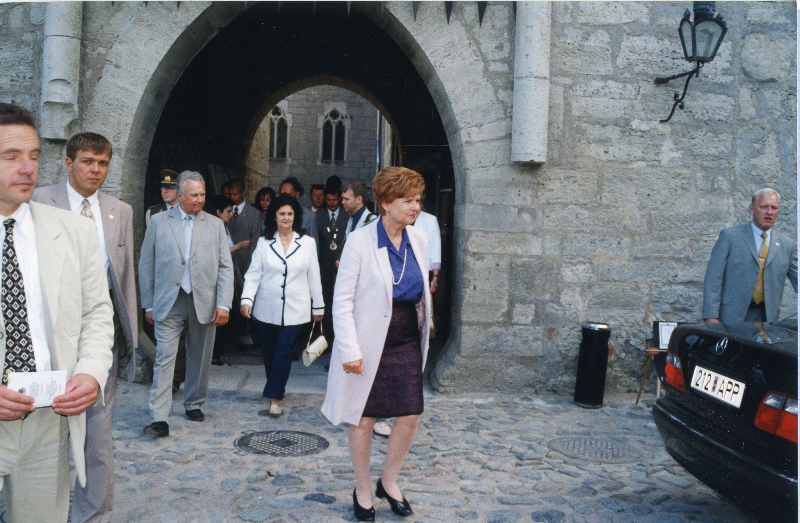 After a reception in the Town Hall, the queen visited the old town of Kuressaare and spent time in Kuressaare Castle. 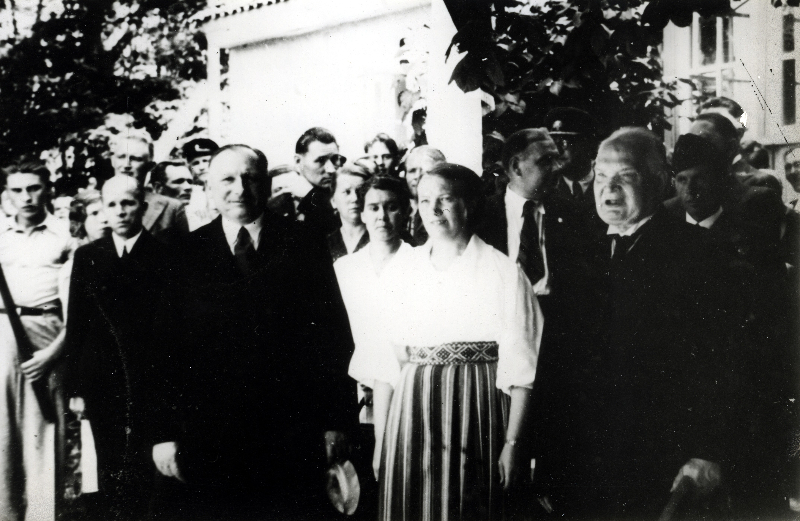 During her visit to the castle she placed a wreath next to the memorial dedicated to the victims of the 1941 massacre. 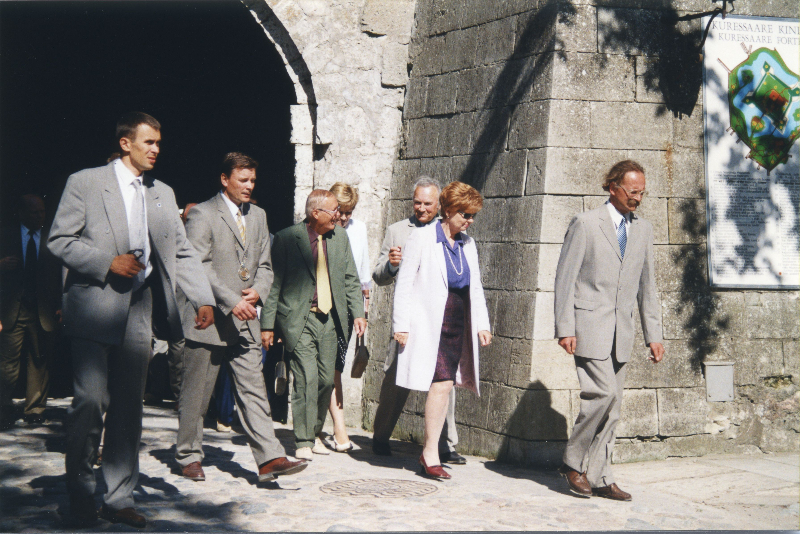 In the afternoon she visited Kaali Meteorite Crater and Koguva village. 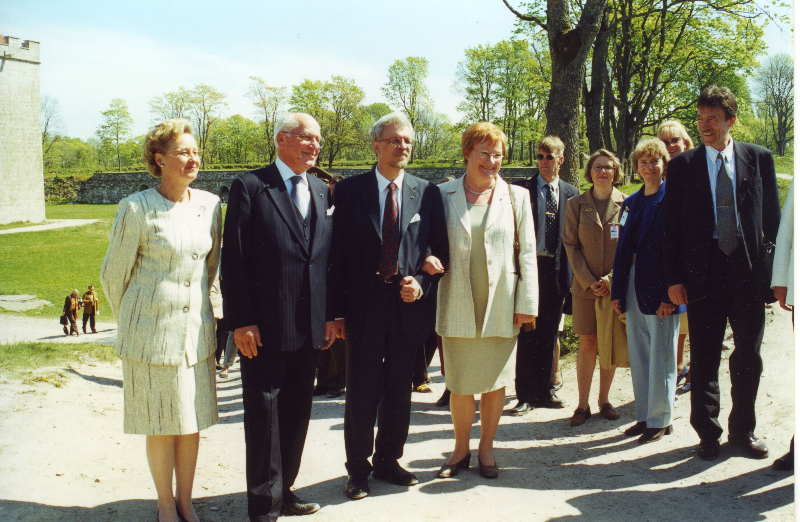 On June 16 Margrethe II went to Valjala Stronghold, Tõnija village and Loona Manor. 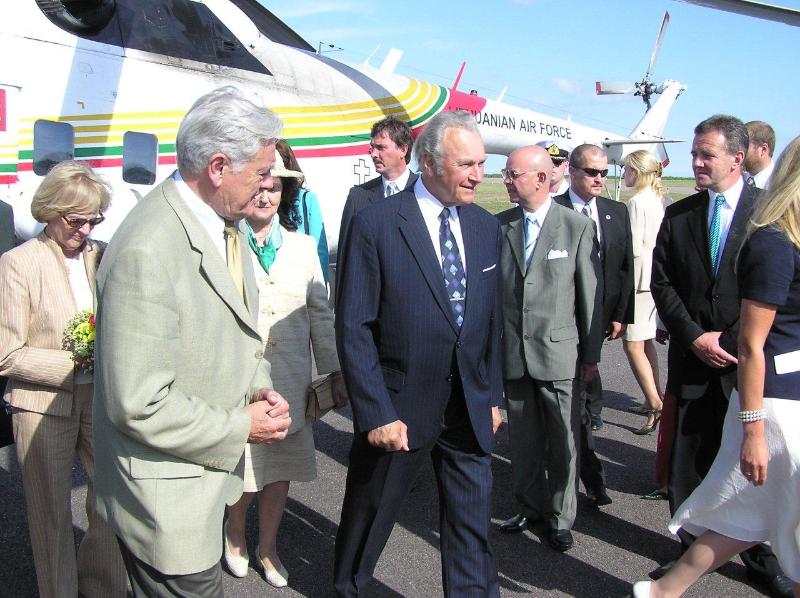 On the last day of her visit she took a helicopter ride over Saaremaa. 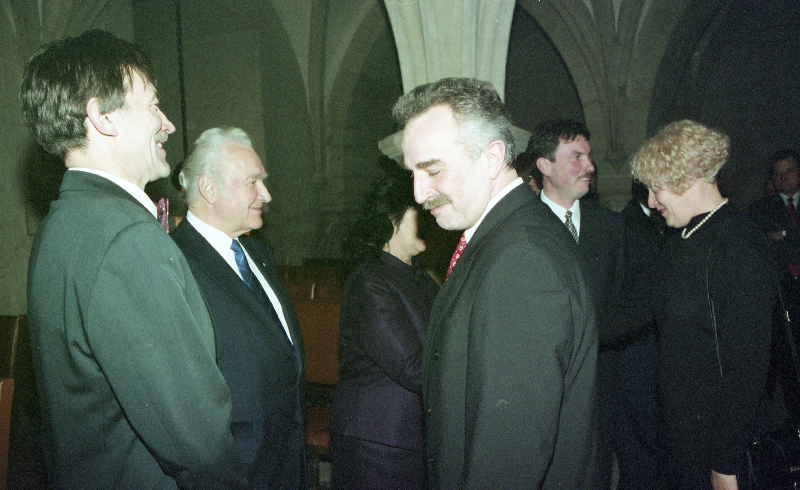 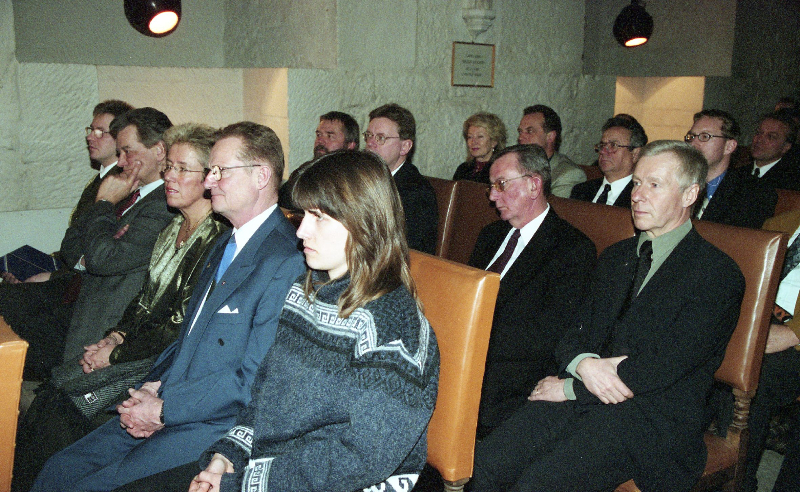 Arnold Rüütel, President of the Republic of Estonia, was on an official visit in Saaremaa on January 11–12, 2002. 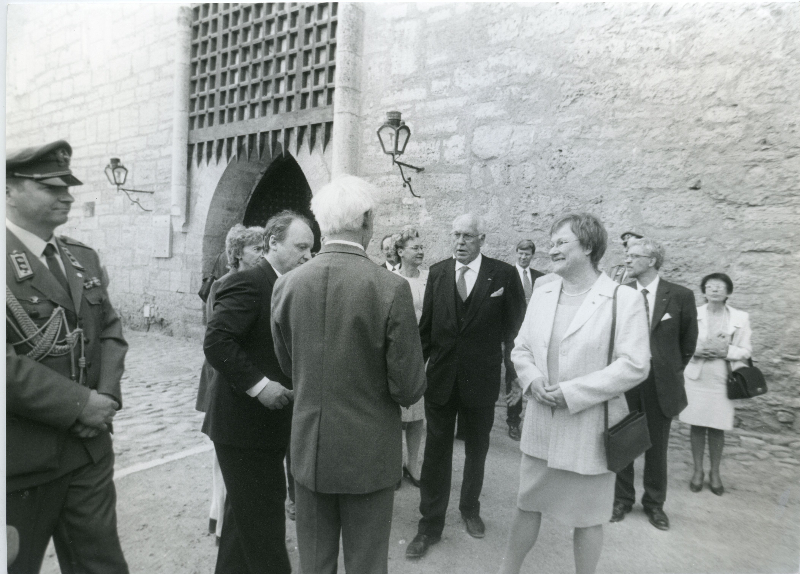 On the first day of his visit he went to Muhu Basic School, Maasilinn Order Castle and Saaremaa Meat and Dairy Factory. 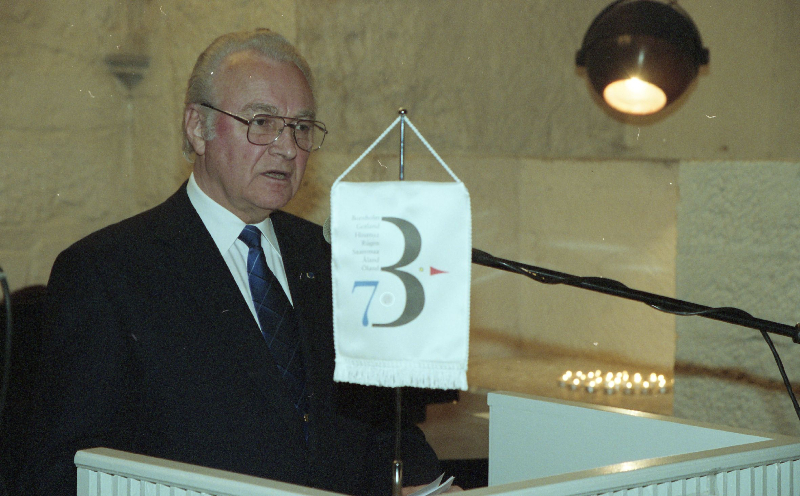 In the evening Rüütel opened the annual conference of B7 in Kuressaare Castle. 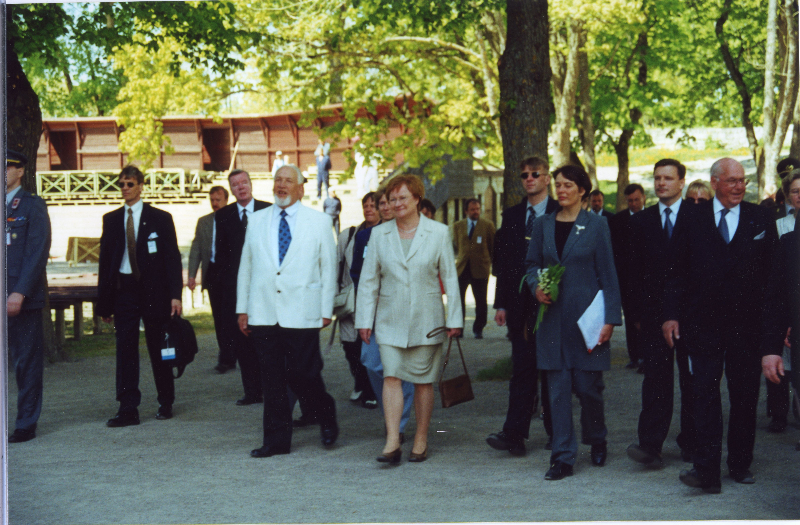 Next day he visited Kuressaare Regional Training Centre, Kuressaare College, Saaremaa Brewery and Saarte Liinid Ltd.
Vaira Vīķe-Freiberga, President of the Republic of Latvia, was on an official visit in Saaremaa on August 5–7, 2002. 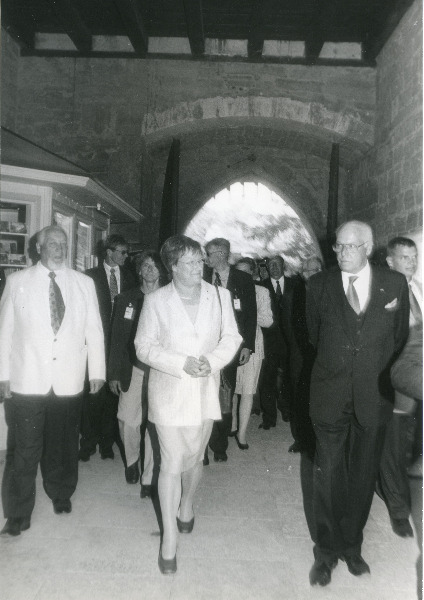 On August 5 she visited Kuressaare Castle and was on a business meeting in Arensburg Hotel. 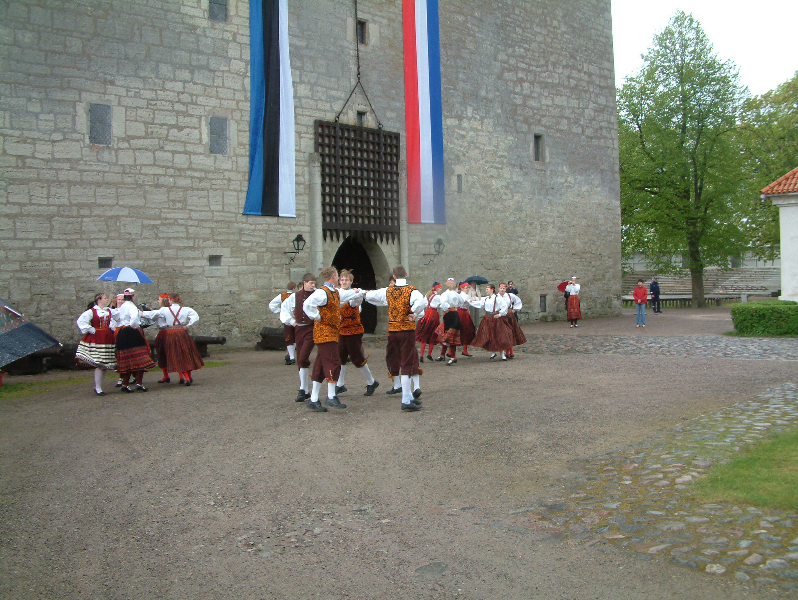 On the next day she went to Kaarma Church and Stronghold, Kaali, Koguva village, Pädaste Manor, Nautse Ostrich Farm, Muhu Church and to a chamber music concert in Kuressaare. 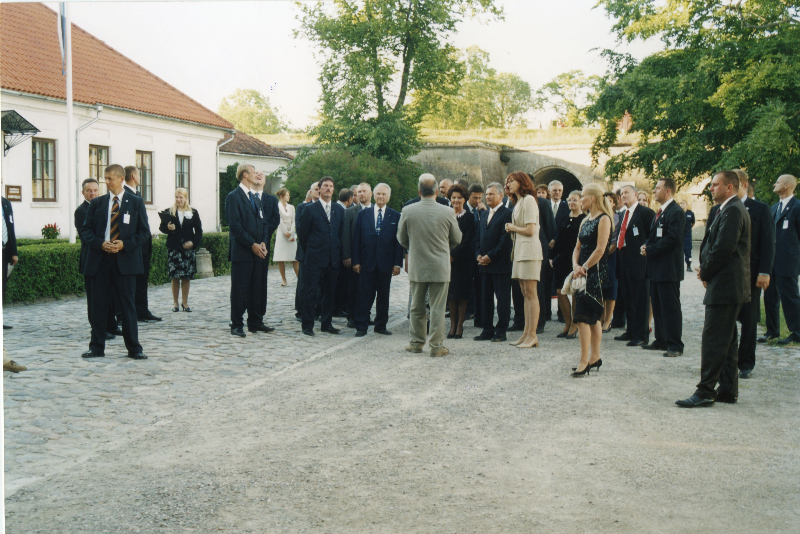 On August 7 the president visited Roomassaare Harbour. 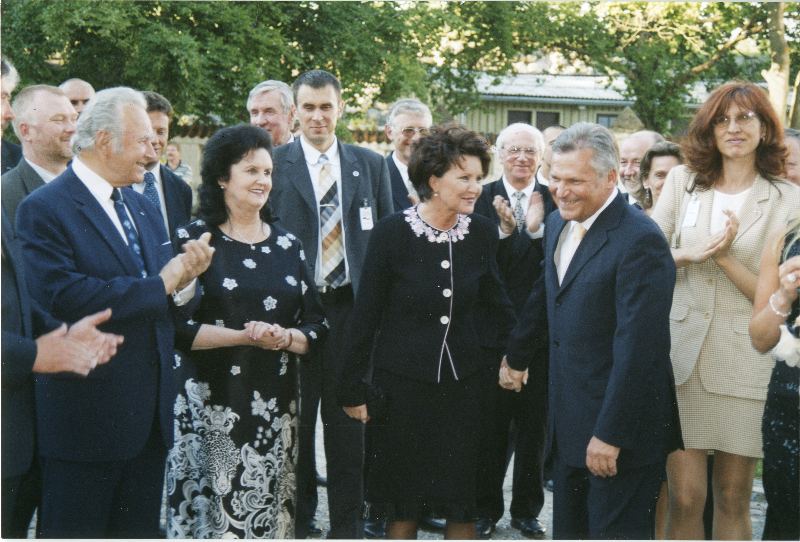 Aleksander Kwasnievski, President of the Republic of Poland, was on an official visit in Saaremaa on July 5-6, 2005. 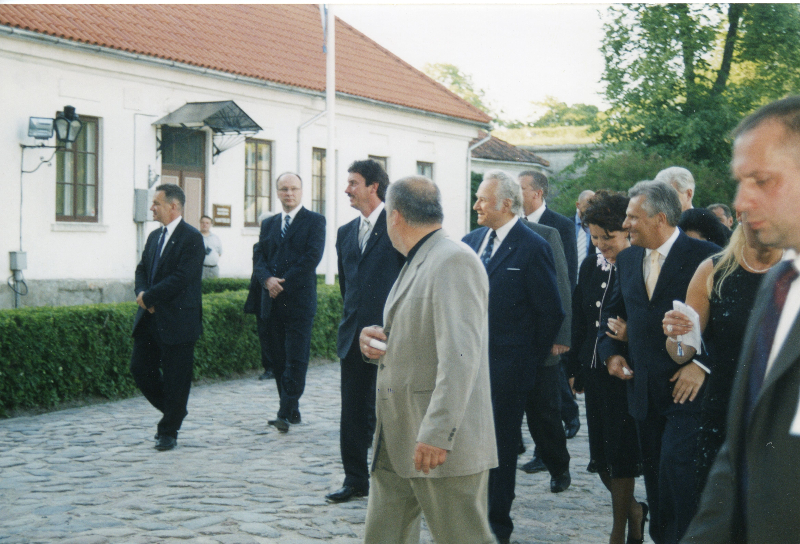 On August 5 he visited Kaali Crater and a boatyard in Nasva; in the evening a dinner party was held in the honour of the President of the Republic of Poland in Kuressaare Castle. 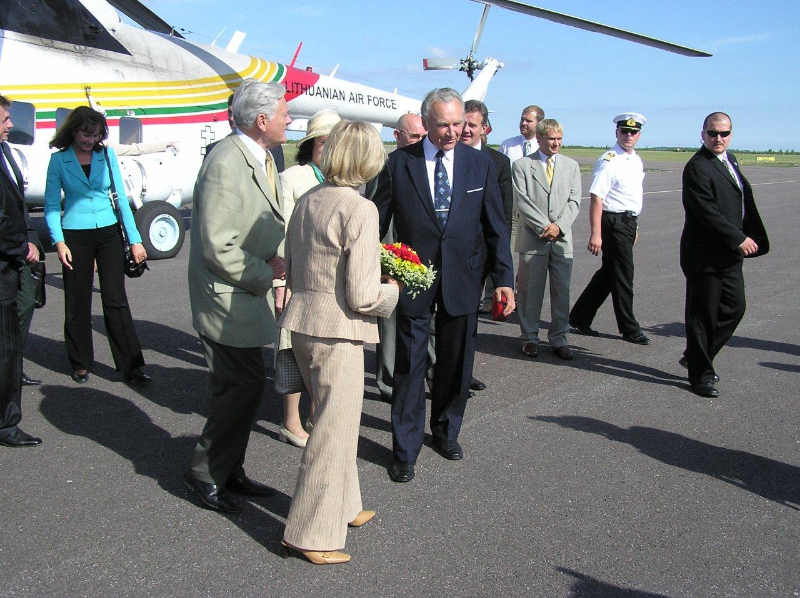 The president left Saaremaa on the morning of July 6. 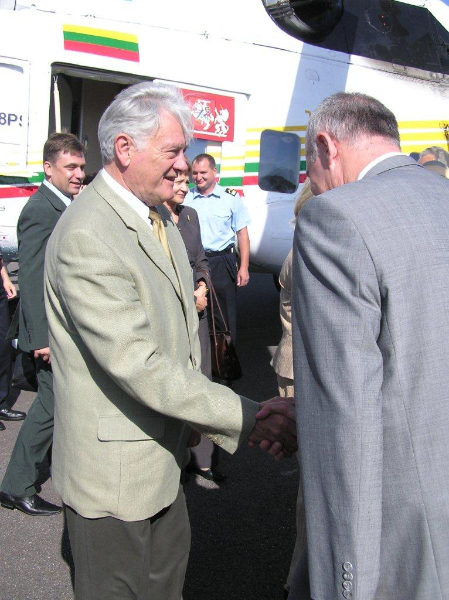 Valdas Adamkus, President of the Republic of Lithuania, was on an official visit in Saaremaa on July 29–31, 2005. 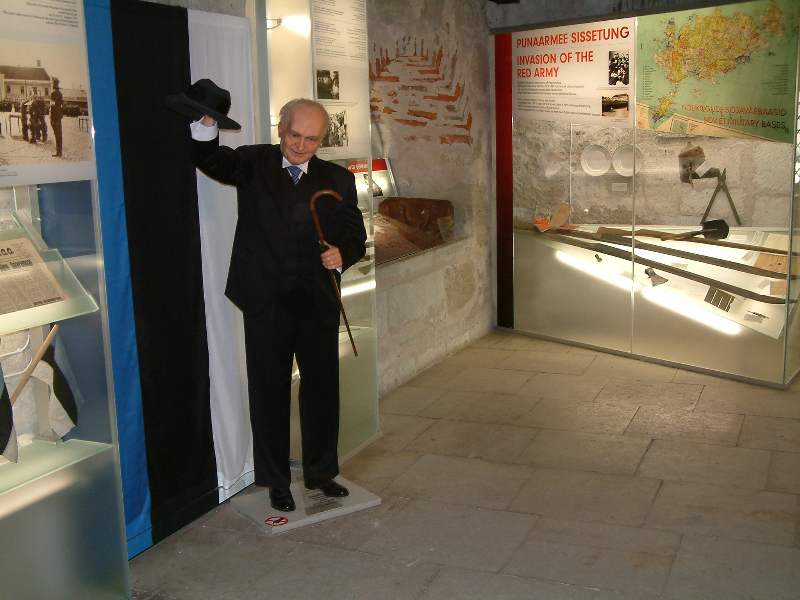 On July 29 he participated in the opening ceremony of Kuressaare Cultural Centre. 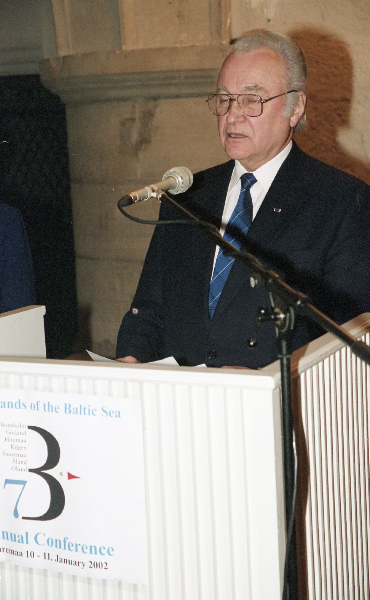 In the evening Arnold Rüütel, President of the Republic of Estonia, held a dinner party in the honour of Valdas Adamkus, President of the Republic of Lithuania, in Kuressaare Castle. 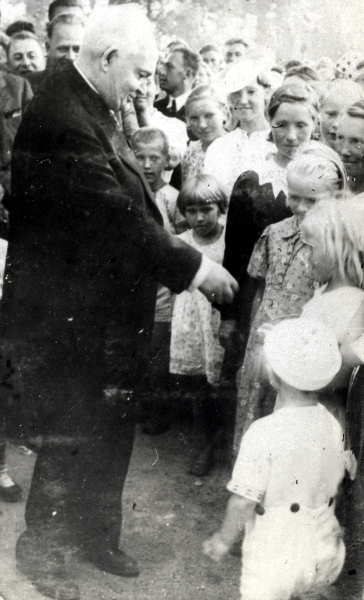 On July 30 Adamkus visited Loona Manor, Vilsandi National Park and the lake of Kaali. 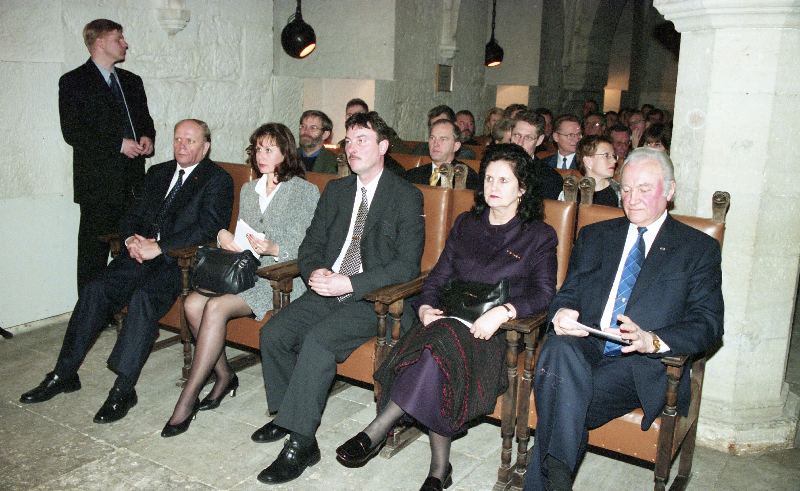 In the evening Adamkus attended the gala concert of Saaremaa Opera Days. 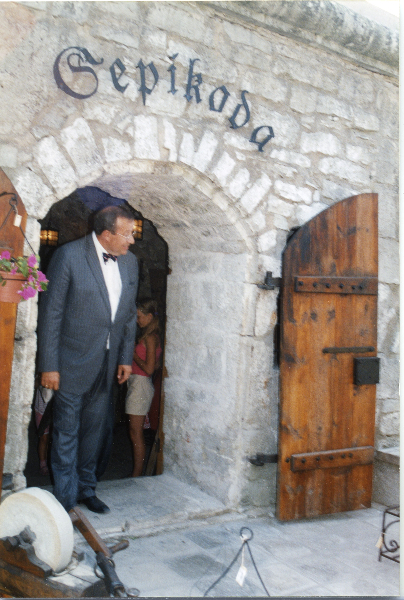 The president left the island on the morning of July 31. 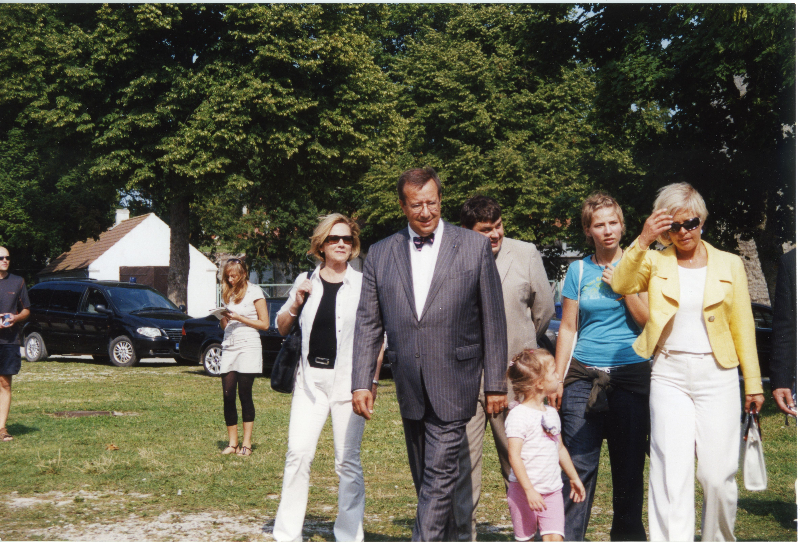 Toomas Hendrik Ilves, President of the Republic of Estonia, visited Saaremaa on August 9–10, 2007. 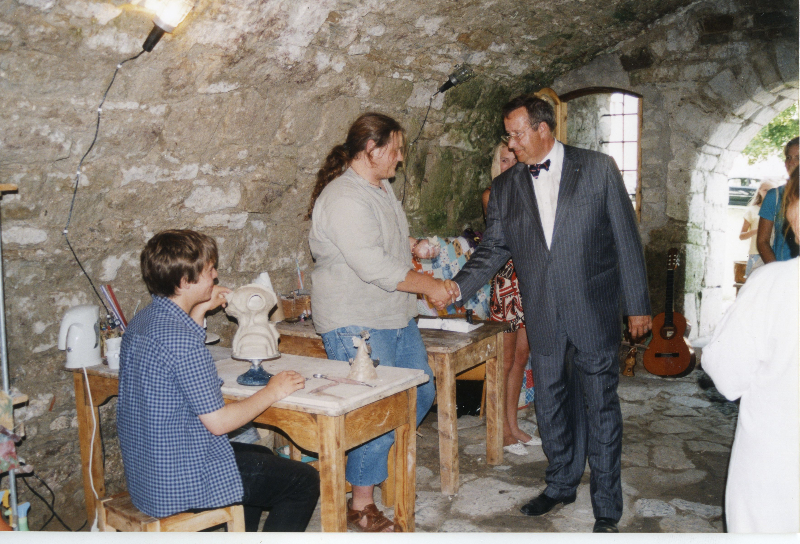 On August 9 he visited chambers of handicrafts in Kuressaare Castle, the company Baltic Workboats, GoodKaarma Soap Farm and Koguva village. 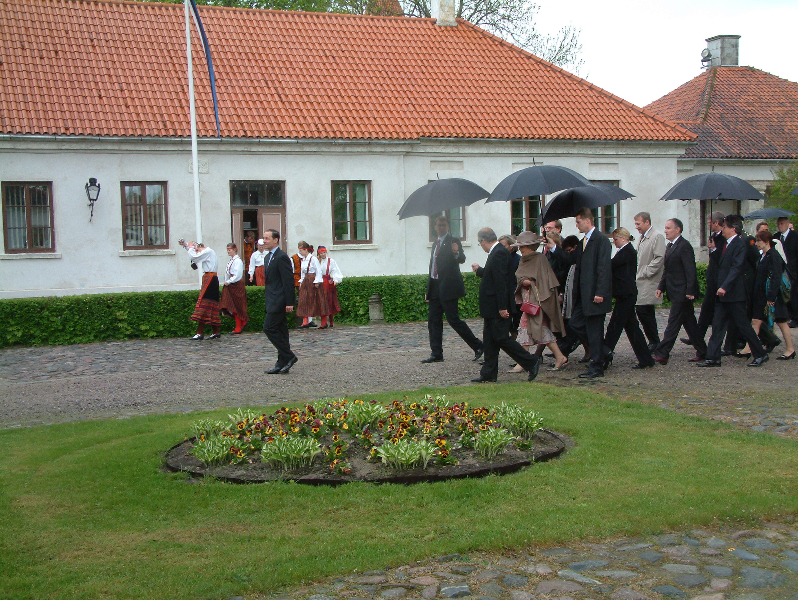 On August 10 the president saw Pöide Church, Maasilinn Order Castle and the enterprises Muhu Mööbel and Väike Paadivabrik. 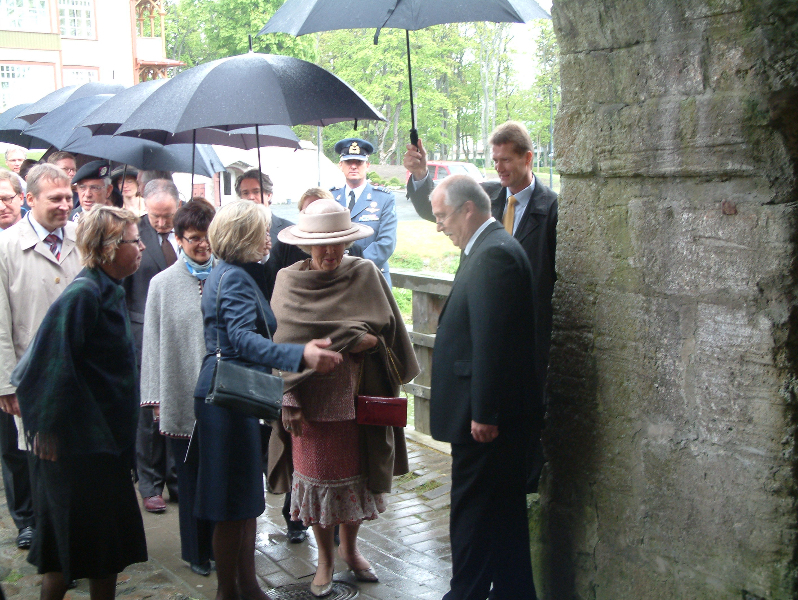 Beatrix, Queen of the Netherlands, was in Kuressaare for three hours on 16 May 2008. 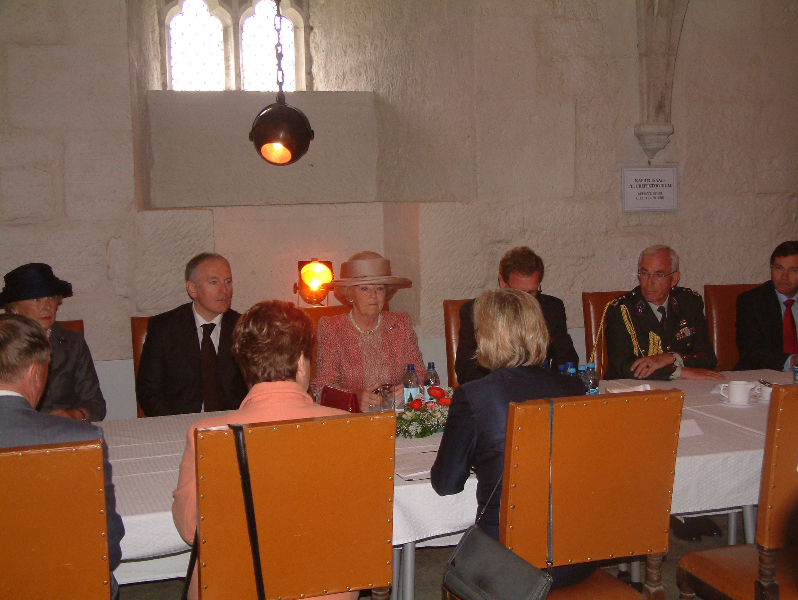 After a reception in the Town Hall, the queen participated at a meeting held in Kuressaare Castle on the topic of regional policy.